PopUps: Powerful Lead Generators or a Slippery Slope to Spam? Since the birth of the internet, popup ads have come in storm. At Christmas time it is the full force of a tornado. They have become everyday interruptions to our browsing and it often feels like the internet would be a much nicer place if they didn’t exist. But should companies continue to make use of them? Here’s a quick look at the pros and cons of using popup ads to generate leads and build mailing lists. 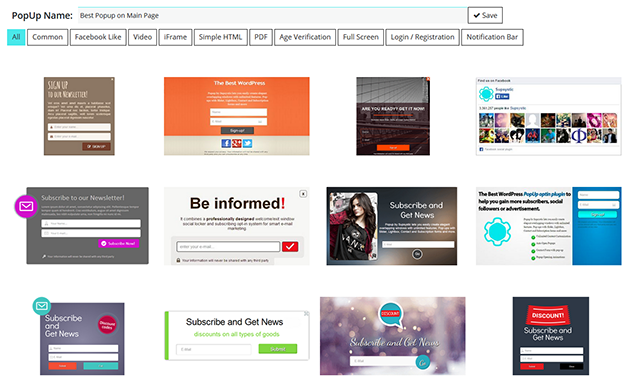 PopUps are a cheap way of building huge client bases and emailing lists. The reason so many sites use them is simply because they work, successfully generating valuable leads for a company and increasing their fan base or brand awareness. Why are popUps so successful? Well for one thing, they are seen. Let’s face it, there is no way you are NOT going to see a popup. They are intrusive and cut through whatever you are reading. The user has to make their choice right then and there. A popup cannot be ignored. This is great chance for a business to offer a user something they want – whether it be a deal, voucher or freebie – in exchange for their email address. Email addresses are of great value to a company; the bigger your emailing list, the more people hear about your products or services, and the more sales you get. In a world where getting ‘something for nothing’ is increasingly rare, giving a visitor something of value for free is a compelling offer and one of the reasons why popUps are so successful. Since early on in their usage, popUps have developed a bad reputation. This general distain tends to fall into two categories: irritation and distrust. While browsing the net, the user is concentrating on the content of the page they have chosen to visit. A popUp’s invasive nature often completely blocks the current content and demands the user’s attention immediately. This may cause the user to look for a way to get rid of the ad as quickly as possible so they can resume reading. We all remember the familiar scene of a red and yellow popup blaring across our screens, “Congratulations! You are the 100,000th visitor!” So countless are these claims that any grand gesture offered to the user is likely to be dismissed as spam. The scams that flood our email inboxes make us wary of interacting with anything online, and with good reason. The phase of creating false “close” or “cancel” buttons has also hugely damaged the reputation of the popup ad. With these buttons opening further WebPages or even making unwanted and dangerous installations instead of simply getting rid of the ad, many users do not want to interact with popup ads at all. It is clear that popUps are a powerful tool when used well. However, with popup ads being one of the main spamming methods of the internet, using them effectively is a challenge. There are measures you can take to increase the chances that a user will look favourably upon your popup ad. It is important to think carefully about when they should appear to the user. PopUps triggered when the user is leaving the website, for example, may prove less irritating as the reader has finished browsing the content and is looking for the next thing to read or do online. If the content they have read has interested them, they may well opt in to receive more information. It is important to provide users with something of value as an incentive. Grand and deceitful promises will conjure mistrust and deter a potential lead. While selling your content and creating interest, excitement and curiosity is crucial, this should be kept in careful balance with maintaining a credible company reputation. It is vital to give the user a clear, easy and obvious way of exiting the popup ad. Not being able to close an ad will result in the user closing your whole website and they will probably choose not to return. Online business competition is huge and is only getting bigger. A company should utilise every opportunity it has for further success, and popUps, when implemented mindfully, are certainly an effective lead generation strategy. Having considered this, we make Popups using Supsystic plug-in with many triggers, showing popUps only to the users who are most likely to respond. Plus we have an online popUp builder where you can customize your popUp template with a few clicks, or using your phone with our mobile responsive design. You can see the full description of features on the plugin page. 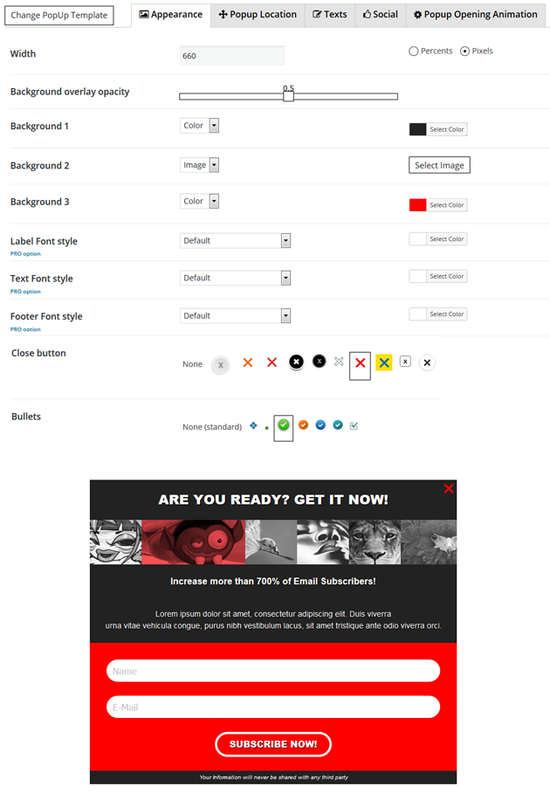 There are many more customizable options. You can read all about them on the plug-in page. What options do you want when it comes to creating popUps as an administrator, and what are your user’s needs? What is the next step after popUps? What kind of technology will surpass popUps? If you would like to win the PRO version of popUps, mark the comment with the option you like most in the Popup by Supsystic, and which option you would like to see added and why. We’ll release three PRO versions of popup for the winning commenter’s. Mila is the Support and Quality Director at supsystic.com. Everyone knows about Akismet, but there are a few good alternatives to that plugin for beating the spam disease. Lets take a look at a few of them. Are you fighting a losing battle against spam on your blog or website? Read on to find which plugins will provide a solution to ending spam once and for all.